With February 29th (yes, you ready that right-- the 29th) quickly approaching I am starting to feel like this is the perfect day to do something completely out of the ordinary. I mean this astronomical wonder only happens once every FOUR years. Yes, yes… we know it's because Earth takes just a liiiiiiitle bit longer to make it's orbit around the sun, but it's the perfect time to go a little wild, because really only a quarter of the day actually exists! It's kind of mysterious and since it's not due to reappear until 2020 why not take full advantage? Apparently there is a tradition that this day is one for the women to propose to a man on, and if the man declines he must buy the women a dress. I say propose and buy two dresses for yourself, anyways. Am I loosing you here? Let's just call it a day to have a little more fun. So, what are your plans? If you don't have any yet I put together a little list of out of the ordinary ideas for you to take part in. Live it up, girlfriend! Drive two hours out of town and explore the town you end up in. Cancel all your plans for a day. Eat whatever you want without any worries. Wear your most fun/highest heels around the house all day. Smile at every stranger you pass. Go the day without your social media. Go to the very first place that pops into your head. Surprise your loved one somewhere. Do something around the house-- naked. What are your plans for this upcoming February, 29th? I love these ideas.. now if only I could get off work!! Thanks Christina! I was working too! What fun ideas! I'd love to get away with eating whatever I wanted for the day! Aww sounds so fun! I love having days like that. 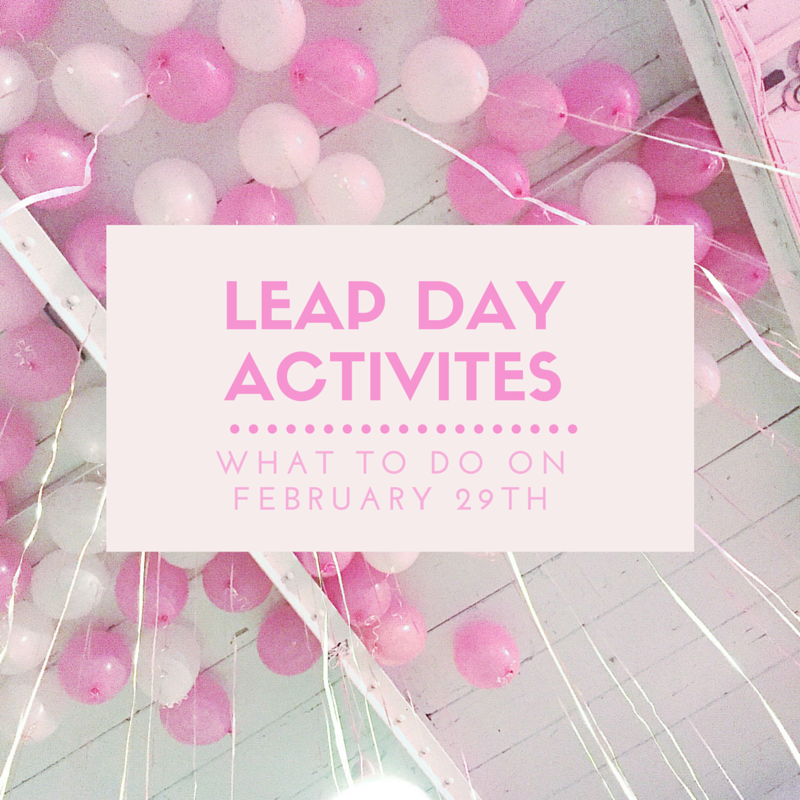 Go without social media for a day is definitely my kind of activity for leap day. Such a cute post. Thanks, Eleni! Great idea to go social free! I hope it will snow incessantly all day so that I can go for a walk in the woods. fun ideas! I want to do the cancel all my plans for the day! that sounds fun! Yes! Wish it was only that easy!